Don’t worry—this isn’t another one of those “borrow your boyfriend’s boyfriend jeans” stories, because we’ve all heard that one too many times. Plus, it rarely works. Rather, I’m sharing the items I’ve actually purchased from both the men’s and even children’s departments of stores for a multitude of reasons. Whether it was because all the sneakers in the women’s section were pink or purple and I just wanted something simple, snagging a men’s concert tee because the women’s styles simply didn’t have the same boxy cut, or resorting to children’s Uniqlo heat-tech gloves because they were cheaper and in stock in black. There are a lot of practical (think: pink tax) and aesthetic-based (think: literal pink stuff) excuses, so it’s a practice I highly recommend. Just when and where should you seek out these alternate items? Keep scrolling to find out and, of course, shop. Riffing off the above anecdote, aside from price and availability, I’ve also noticed that “women’s” gloves tend to possess more “frills.” When it comes winter accessories, the simpler the better. 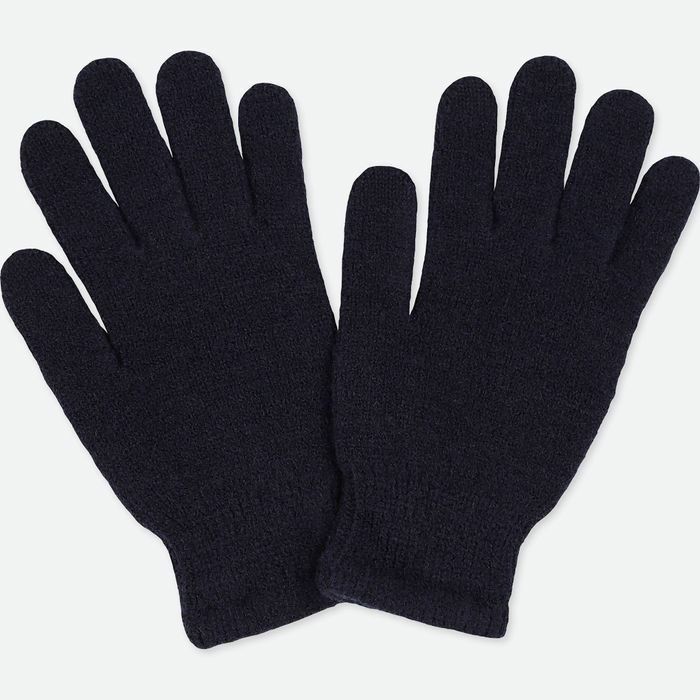 If you can’t find what you’re looking for (in my case, it’s a simple black pair of gloves that have tech fingertips), head to the men’s or children’s section, but be sure to carefully check the size charts! I often buy men’s sunglasses for several reasons. 1. I have a small face, and women’s shapes tend to be more oversized. 2. They’re often cooler and more minimal. 3. Sunglasses are expensive, and if I can share a pair with my husband—why not? I’ve been stealing my husband’s high socks for quite a few winters now, but this year I took it one step further and purchased a few pairs of my favorite Bonobos for myself. High socks are ideal when it’s cold out because they stop your legs from freezing and keep your boots from destroying your ankles. For whatever reason, the ones made for men are more easily accessible, thicker, and well, better. I’m never going to understand why brands make such great sneakers for men then decide to take the very same sneaker, make certain accents (or the entire shoe) pink and/or sparkly, and throw them in the women’s department. I like all-black and all-white sneakers, too, and I’m fairly certain I’m not alone on that one. For that reason, and since I can get away with it as a size 8.5, I buy a lot of my sneakers from men’s section. Unless you have tiny feet, you may be able to as well, so just look up the shoes you want on a size conversion chart for that specific brand. This hot tip is actually coming to you from my co-worker and deskmate Lauren Eggertsen. According to her, men sweaters have “that effortless, simple oversized vibe” it’s hard to get in much of women’s clothing. Plus, they tend to be super classic so you know you’ll be able to use them for years. Whether at a concert, in a store, or while online shopping, I’ve found that the really cool graphic tees (you know, the ones that have a boxy cut, edgy logo, and striking color scheme) just tend to be designed for men. If you’re worried about size, you can usually shrink them in the drier, cut them to be shorter, or tailor them to fit (depending on how much effort you’re willing to put in), and it will be seriously worth it. Last, but certainly not least, we have scarves. For such a classic item, you’d think they’d be easier to come by, but in my experience, I’ve found that it’s often easier to borrow from my husband than to sift through the many multifaceted women’s styles or overpay for something I’m not in love with. If the borrowing part isn’t for you, shop some of my favorite men’s styles below. Up next? Shop some of the absolute coolest pieces I've seen this month.